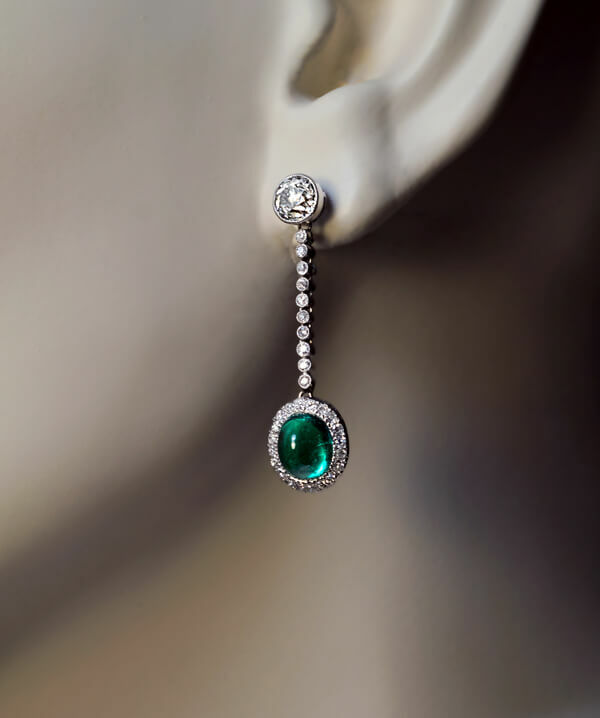 A pair of Art Deco platinum earrings from the 1930s is set with bright white old cut diamonds and two well matched cabochon cut emeralds of an excellent alpine green color with a hint of blue. The principal two diamonds are 5 mm old European cut stones, approximately 0.60 ct each (1.20 ct total), G color, VS1 / VS2 clarity. 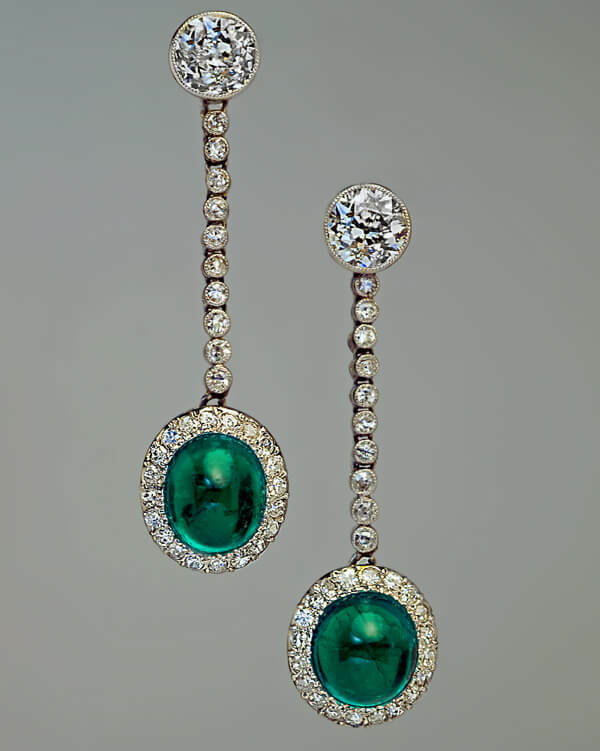 Approximate total weight of the smaller diamonds is 0.70 ct, F-G color, VS1-SI1 clarity. 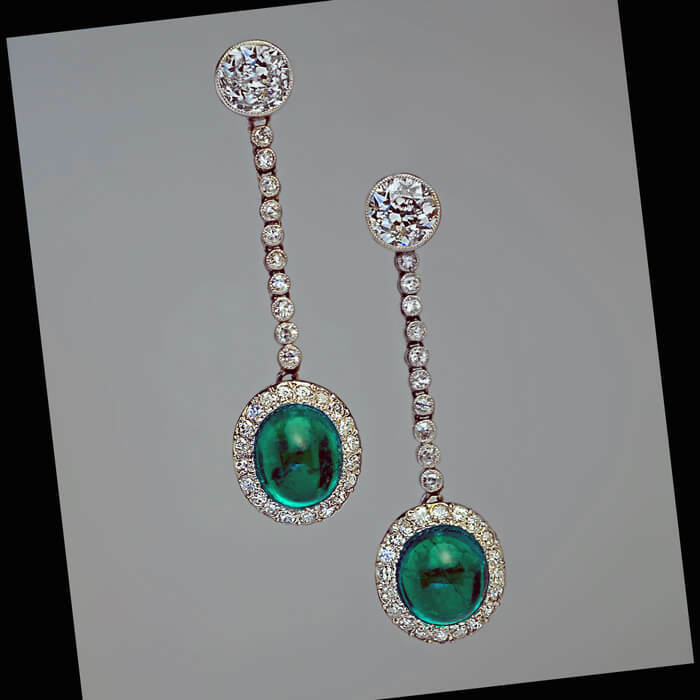 The emeralds measure approximately 7.41 x 6.81 x 5.38 mm, and 7.53 x 6.45 x 5.56 mm. 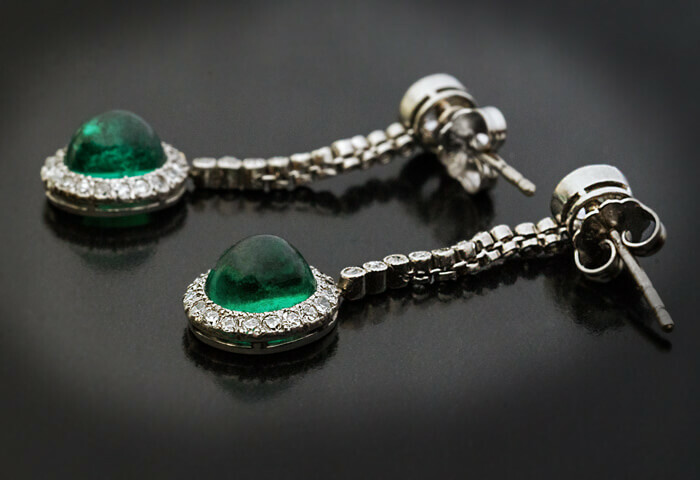 Estimated emerald weight – 2.03 ct and 2.02 ct (4.05 ct total). 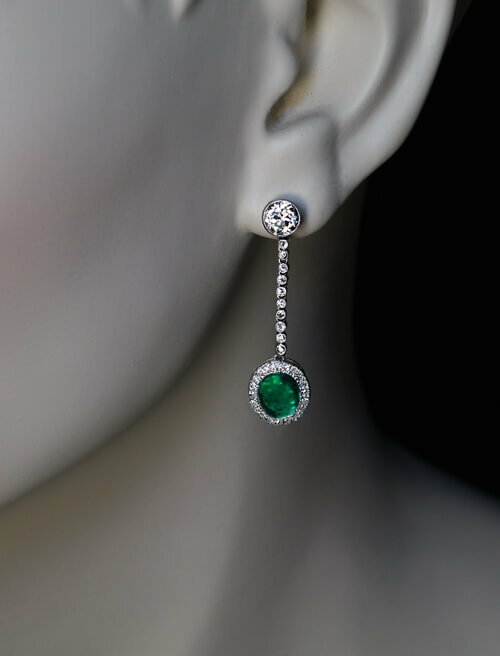 The earrings are crafted in 950 platinum and 18K white gold (posts). Marked on posts with later Dutch platinum and 750 gold control marks for used articles.